Maybe I am sensitive about the disaster in Tennessee due to the plight and hardship all of her citizens face because I am from Texas and were it not for Tennessee, Texas would likely be a part of Mexico. director headed to the region today. It took the Whitehouse 4 days to respond with a brief 129 word message that could have easily been cranked out by any of the President’s speechwriters on Saturday when things in Nashville went from bad to worse. Whatever was at the base of his delay, if there had been a 9th Ward, or barrio or an audience to take advantage of, his response would have been sooner. Bush was castigated for waiting 2 days to go to New Orleans after Hurricane Katrina. This column was in Redstate on Monday, May 3rd, http://www.redstate.com/tabithahale/2010/05/03/nashville-drowning-obamas-silent-hope-crumbles-like-a-coke-can/ says, “…Obama himself still had nothing to say regarding the catastrophe. “It’s embarrassing that caring either depends on your electoral prospects or has to wait for the news cycle,” says Scoville. His Defenders will say his priority was on the crises caused by the bomb that did not go off left in Times Square by a ‘man called disaster’, but it was a Vietnam vet and another street vendor that alerted the New York Police Department that thwarted what would have been a huge disaster. Meanwhile 12 days, after the fire that started on April 21st, which caused the collapse of BP’s Deep Horizon Oil Platform, and a massive oil spill, Obama managed a photo op, and a nationally televised speech to the Gulf on Sunday, May 2nd. (I will spare you the link). Finally, today, May 5th, as the water continues to recede his administration has declared 4 counties a disaster area, while in reality 52 of 55 counties in the state of Tennessee were flooded. 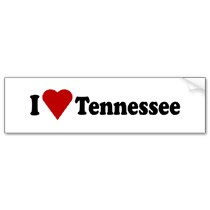 The damages in Tennessee are bound to be in the billions of dollars, and my prayers and well wishes are with the brave, but not forgotten Mountain State of Tennessee.